Bella is an outstanding girl. She is an athletic, medium sized female, well proportioned with a symmetrical face and lots of bone. She is loyal, confident, obedient and protective. She received her CGN Certificate at 11 months old. She comes from a long line of PSD, Security & Search & Rescue. Most of her ancestors are titled in Shutzhund, with names such as Jimmy Vom Hessischen-Bergland, Lena Vom Mahntor on the Sire’s side and on the Dam’s side Luke Von Luershof & Laitty Von Haderhof. 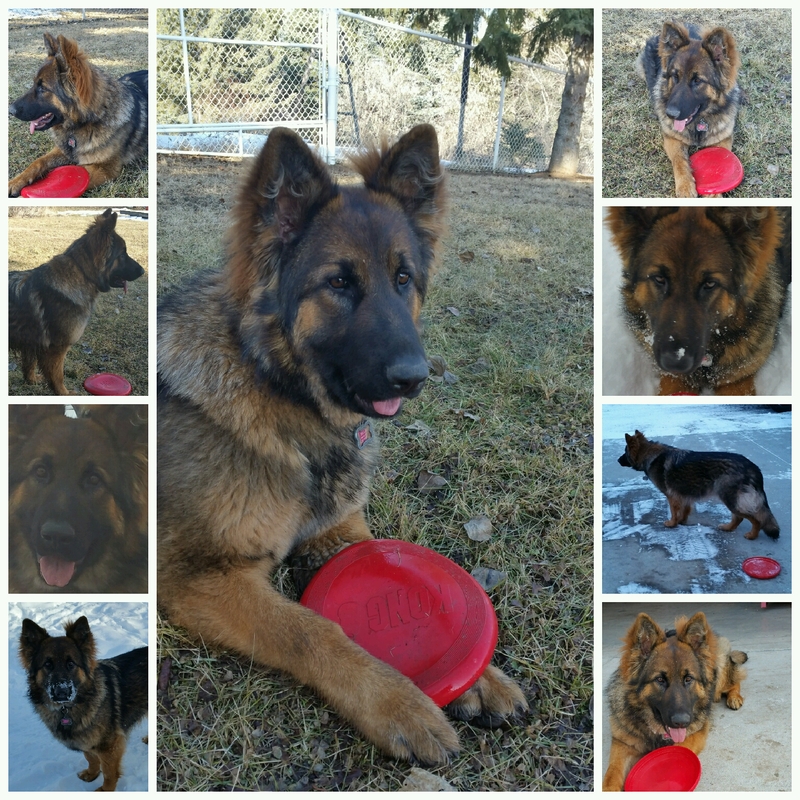 Bella has an amazing personality, with medium drive, who loves to play frisbee. She has amazing endurance and focus & an excellent temperament.